Ray Mobley, center, talks with veteran students. Mobley serves as an Evergreen Admissions Counselor, specializing in veterans’ outreach and Evening and Weekend Studies. During my 21 years of U.S. military service, I had many proud moments, but none compares to the day I became a patriot. It was during my second tour of Iraq in a place called Taji, right outside of Baghdad. It was a trying time, as we were building everything from the ground up—most of it rubble from buildings we had previously bombed. The heat was stifling and the dust a relentless annoyance. The constant bombardment of enemy fire always called to mind the question of why we were even there in the first place. I recall having lunch with one of our interpreters, right outside of what was to be our company headquarters. He had been in the same Iraqi Army we had defeated the year before. His story was one of despair. He was forced to serve due to his age and gender. We exchanged solemn looks as we both realized that just one year earlier, we would have been trying to take each other’s lives without any questions asked. The irony was overwhelming, because we had become such great friends and could talk like we had known each other for an eternity. As we sat and ate our lunch, he looked at me with tears in his eyes and told me how grateful he was that we were helping him and his country. It’s not every day that you get to hear those words firsthand from someone who was on the other side. I urged him to tell me what it had been like. He asked me what the routine was for taking leave in the U.S. Army. I explained to him that you filled out a request sheet, and a few days later your supervisor either granted or denied it. Then he told me of a time in the Iraqi Army when he had asked for leave. In order to take leave, he was to grab his weapon, stand chest-deep in an open cesspool, and hold his weapon over his head for the entire day. If he could do so, then his supervisor would grant his leave. My new friend told me never to think that the war was in vain, because he was living proof of the benefits that prevailed—human dignity. His story changed my life and my view of why we were there: to give others opportunities we take for granted. Today, I serve in a different capacity. 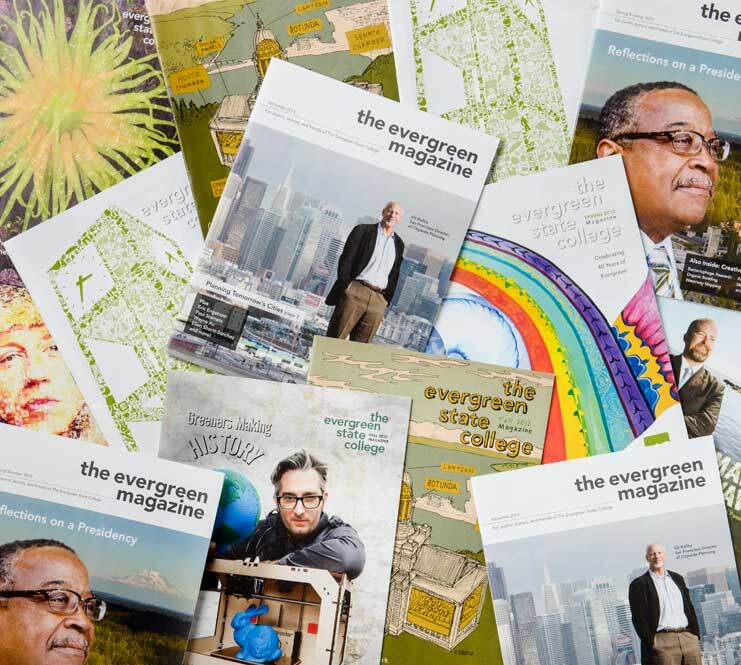 After retiring from the military, I realized Evergreen was the place I wanted to finish my education. As a student, I was intrigued and tested, and always found myself digging deep into complex issues and finding out the whys. I could sit and speak with people who shared my experiences, as well as with those who didn't. Serving in the Armed Forces helped me understand the value of my time at Evergreen. The ability to understand the reasons behind issues and to find ways to come together to solve those problems has made me a much better leader and person. This helped me understand the world I was leaving behind—and the new life I was taking on. I now have the privilege of working as an admissions counselor. When I’m recruiting veterans, I tell them this is the place to get their voices heard. They can expect to engage in conversations they can identify with and be challenged by new ideas. They can tell a story most people here have never heard directly. And best of all, they still have the ability to change the world for the better; they are simply stepping out of one role into another. Learn about how Evergreen's Veterans Resource Center is helping veterans, active study service members, and their partners bridge the gap between military and civilian life. Staff Sergeant Raymond Mobley, U.S. Army, was a chemical weapons specialist assessing chemical weapon hazards with the 1st Cavalry Division 1/227th Aviation Brigade, the 23rd Chemical Battalion, and the 508th Military Police Battalion. He served missions in Somalia, Korea, Egypt, and Iraq. In recognition of his service, Mobley received the Army Service Medal, Army Commendation Medals, the Meritorious Service Medal, and others.